From April 2014 I have been working as the director-general of JACAR. I follow in the footsteps of the first director-general, Yoneo Ishii, and the second, Kenichiro Hirano. My relationship with JACAR has spanned about ten years, as I served initially on its advisory committee. That said, I have been involved far longer in matters of history at the Ministry of Foreign Affairs. I worked, for instance, on the committee that compiled "Documents on Japan's Foreign Policy" as well as on the expert advisory committee of public diplomacy record release, on the Japan-China Joint History Research Committee, and on the investigative committee evaluating Japan's so-called "secret agreement." I bring a great amount of interest in matters of archival management as well as in the process of document compilation and release. As you may know, JACAR's genesis traces back to the end of August 1994, when former Prime Minister Murayama Tomiichi made it the centerpiece of a "Plan for Peace and Friendship Exchanges." A group of fifteen experts was formed and entrusted to work out the concrete details for establishing the center. Chief Cabinet Secretary Igarashi Kozo explained in a talk about JACAR how it was intended to facilitate an objective examination of Japanese contemporary history—both its "shadows" and "radiance"—while ambitiously and internationally communicating Japan's efforts to face its past. After the end of Murayama's term and despite changes in Japan's political environment, plans for JACAR proceeded forward. In November 1999, as part of the "Project for comprehensive collecting of Asian historical records," the Cabinet decided upon providing access online to "Asian historical records," which various ministries and agencies of Japan had been preserving to make public. JACAR was then opened in 2001 and I, incidentally, held a seat in preparatory meetings. At the center of efforts was then Director-General Yoneo Ishii. I still have a strong impression of a remark Ishii used to make: "Even if might be impossible to share the same exact understanding of history all over the world, it is possible to work together on sharing historical documents." Although the realization of Ishii's remark would take time, his words on the interpretation of history have become foundational to my efforts to build a mechanism for sharing materials between multiple nations. JACAR has—with a laudable, cutting-edge digital archive—nearly completed releasing historical documents from the three organizations with which we work; the documents date back to the start of the Meiji era and run through 1945. One could say that in JACAR's activities the way in which Japan is sincerely trying to face up to history takes a tangible shape. An archives management act was finally enacted to verify the workings of Japan's government, so there is now a structure in order to oversee accountability. In this context, JACAR appears to be gaining momentum as an effective tool of accountability that can cultivate a better understanding of Japan's past. The greatest, most effective way of eliminating historical misunderstandings and prejudice while also increasing international trust is to, whenever possible, guarantee that records of the past are made public without editing. These emotional sentences were penned in the afterword of the book by a young faculty member of a university in Sendai. We can see in the passage that one of the strengths of JACAR can be found in its ability to remain secure and reliable even after encountering a natural disaster. This challenge of maintaining and improving the reliability of the historical records system is a responsibility that we have to website users. It is our job in managing document availability to present them to materials to users not only reliably, but also in their original order and contexts. The next challenge is to improve the user-friendliness of the JACAR system with convenience and ease of accessibility in mind. Given that JACAR's users represent a diverse array of nationalities and peoples—ranging from researchers to those in primary school—we hope to better understand what users would like to see in terms of search features and services. Another challenge we must face is how to balance the pressing international issue of contradictory desires for protecting personal privacy while also advocating for open data and government. While we like to say that our documents are available to anyone and anywhere, the need for information management does pose its challenges. Regarding these problems, I would be very pleased to receive any opinions of readers. Lastly, I would like to discuss my own role in ushering in a long held dream of a digital archival network. 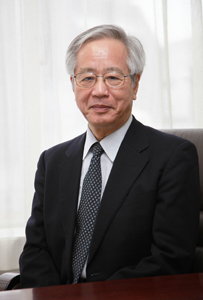 The last Director-General Kenichiro Hirano also wrote of such matters in issue 40 of the journal Archives. He and I both believe that advancing collaboration between similar digital archives all over the world would deepen an intellectual foundation for international mutual understanding. Collaboration ought to also contribute to a new framework of a shared history across East Asia as well as a perspective that engages with historical analysis of Japanese modern history in relation to its neighboring countries. In order for JACAR to develop more so that we might be able to serve in helping guide an international archive network, we hope to continue to receive your support, to which we are deeply indebted. On March 31st I retired from my post at the Japan Center for Asian Historical Records after serving two terms that totaled four years. Having started in April 2010 as the second director-general, I am now pleased to welcome Professor Sumio Hatano and to pass him my baton. 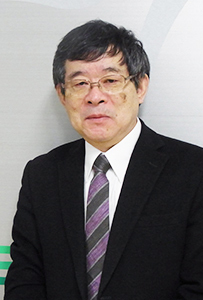 I took over in response to the sudden death of the first director-general, Professor Ishii Yoneo, and despite my inexperience I strove to further develop JACAR from its ninth to twelfth year, so now I am pleased to be able to welcome the next director-general. When I reflect upon the past four years at JACAR, one of the more salient accomplishments was being able to commemorate the institution's ten year anniversary with an international symposium. The symposium made it clear that our digital archive is of great importance for conducting research on the modern history of relations between Japan and its neighboring nations. It was confirmed that lay users of JACAR as well as researchers, both in Japan and abroad, highly evaluate our system. This contribution has been made possible by the large amount of documents made available to JACAR by the National Archives of Japan, the Ministry of Foreign Affairs Diplomatic Record Office, and the National Institute for Defense Studies. Among these organizations, JACAR facilitates cross-archival research of invaluable documents, contributing to a deepened historical understanding among members of the public both domestically and internationally. We have received requests from many users asking for the historical span that JACAR covers be extended along with an increase in the number of institutions who would provide JACAR with their documents. We have made efforts to achieve this expansion, which I believe is in line with the mission of JACAR, and I anticipate this change coming to fruition. In fact, a portion of our documents have already been extended in reach past August 1945 and if the Archives Management Act demonstrates its effectiveness, I predict the range of materials searchable through JACAR to further expand. In the meantime, in order to more effectively use existing data in our system, we have been employing a variety of means to increase search accuracy while also making new attempts at linking with other databases. I deeply hope that JACAR, which is at the forefront of archival advances, can hereon continue to be an eminent hub of historical documents that contributes to historical research, appreciation of history, and a mutual understanding between nations in the future. Under the new leadership of Director-General Hatano, we will continue to strive so that JACAR will be available widely to more users, who we sincerely hope will find it useful. Our next newsletter will be sent out early in July. Since we aim to make the Newsletter an even more useful reference in the future, we would deeply appreciate any comments or feedback on * THIS FORM *.